Beautiful frame. Unfortunately, it arrived damaged (which is the only reason I didn't 5-star it, even though the damage most likely had nothing to do with this vendor). I was not even remotely upset; I have used pictureframes.com for years, and I KNOW they bend over backwards to ensure customer satisfaction. This was no exception. I have every confidence with every order: wonderful products, with truly exceptional service. I am consistently impressed; for me, there is no need to shop anywhere else. 5+ stars; I deeply appreciate the commitment to value and service. Initially came in wrong size, but after calling, I received the new frame in four days. I was totally impressed with the customer support—polite, sincere and rushed the replacement immediately at no charge for expedited delivery. Excellent quality and craftsmanship. I have sold several paintings using this frame....REALLY helps to distinguish art and place in a "fine art" category. 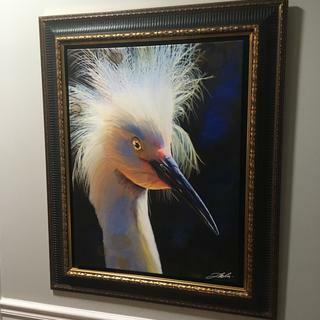 Wanted an elegant frame to match the other gallery quality frames in our house. This was recommended by the Artist ( Raymond Utz Madison VA ) who painted the picture for us . Very handsome. Perfect for a dignified portrait frame! 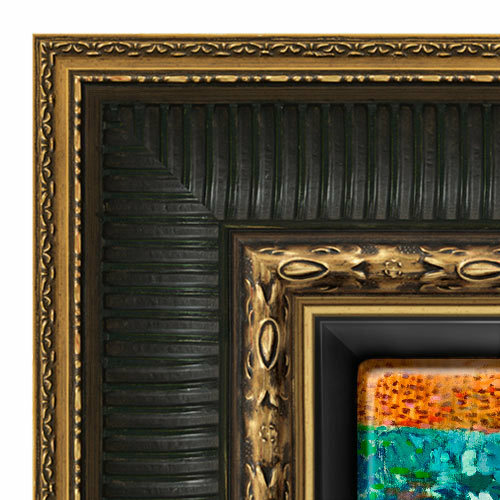 Will the frame I order be returnable if I don’t like it? Also what if the size is not perfect? BEST ANSWER: Hello Alina! We hope that you will love the merchandise, but if not, our 45 day return policy will allow you to return the merchandise for a refund. Just give us a call to set up the return authorization, and to get the Prepaid UPS label emailed to you. Thank you for your inquiry! BEST ANSWER: Yes indeed, you can return the order within 45 days. If you have any additional questions, please let us know. Can this be made for a 5-3/4x5-3/4" picture, and if so, how would you order it? BEST ANSWER: This frame can NOT be made smaller than 6"x6". Do you sell uncut blanks? BEST ANSWER: If you are referring to the moulding being sold whole without any cuts, yes. We sell length moulding. Please call 1-877-367-2689. Is this frame, RRF10, available without floater? Will this frame work for wood panels that are 3/4” deep? BEST ANSWER: This could work for your project but you will likely need to screw directly into the wood panel to secure it effectively. If the frame says it is a floater collection, can my flat drawing use that frame? Will it fit? Thank you for your inquiry. 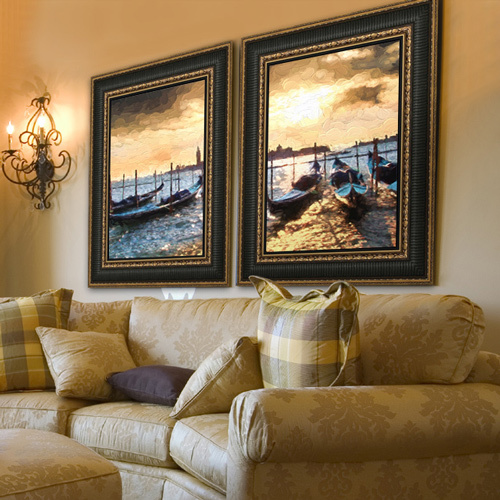 Floater frames are specifically designed for canvas art. If you are looking for this type of frame for a flat drawing take a look at RR10. my painting is 1.25 inches deep.. while this work? BEST ANSWER: Hi Josephine. This frame will work for your artwork. Thank you! 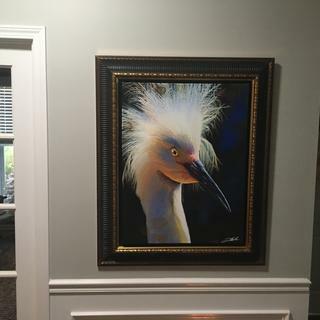 My painting is 3/4" wide/deep... Can this frame fit prolerly ... Or will my painting stick out to far? BEST ANSWER: Hello Toby. 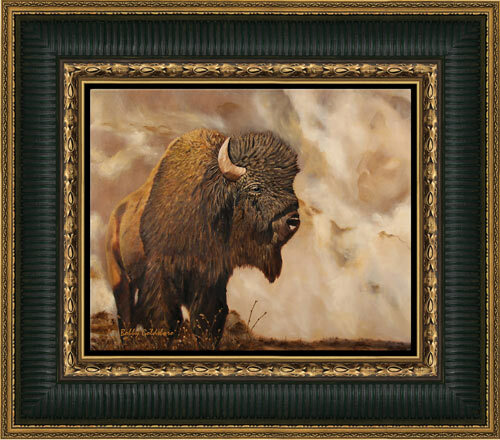 The depth of the gorgeous frame is 1 1/2" which will cause your canvas to recess by 5/8". Thanks for your inquiry!